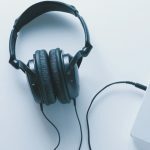 September 30th is International Podcast Day, and we’re celebrating by sharing with you a list of 15 dental industry podcasts worth lending an ear to. Podcasts as a whole have experienced a surge in popularity over the last few years (nearly 70 million Americans listen to them at least monthly), and luckily for those seeking information and inspiration in the dental biz, this industry is no exception! While it’s wonderful that there are more, high quality podcast offerings than ever before, it can also be a bit overwhelming navigating that sea of options…which is why we created this list! We included industry staples that have been releasing content since 2012, as well as exciting newcomers to the scene who just got started this year. There are shows hosted by men, shows hosted by women, shows geared toward dentists, and shows created to empower dental assistants and office managers. Browse our list, then open up your favorite podcast app and hear for yourself! 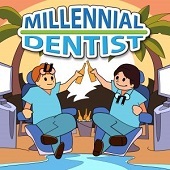 Description: Learn what millennial dentists are doing to exceed patient expectations, enjoy dentistry more, and take more vacations! This is how generations collaborate to make an unstoppable dental team! Dr. Sully Sullivan is a 5th generation dentist. He is a partner of Sullivan Dental Partners with his father, Dr. Rick Sullivan. A great way to keep tabs on Sully is through his popular Instagram page. He also frequents dental industry trade shows. Description: Each week the DentalHacks podcast takes an irreverent and informative look at the dental world. And let me tell you…this ain’t your daddy’s dental podcast. You’ll get great interview from interesting people covering all the hot topics in dentistry. 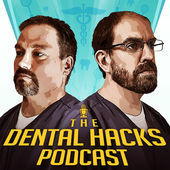 Even better, you’ll hear from the DentalHacks Brain Trust, a panel of the sharpest and funniest dentists you’ve ever heard talking about the same stuff dentists think about all the time. Join your hosts Alan Mead and Jason Lipscomb for a dental podcast experience like no other! This is a popular favorite among industry professionals. The interviews with guests are always very humorous, and the doctors offer genuine and honest thoughts in the “brain trust” section of the show. They share personal examples as well as practical tips on each topic. Description: Dr. Grace Yum has quietly become one of the highest profile pediatric dentists in Chicago and beyond. 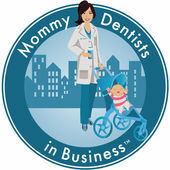 She is in a small pool of less than 5% of all dentists who become certified in pediatrics. 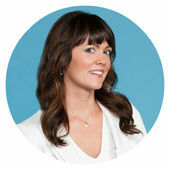 She also founded and built Yummy Dental and Orthodontics for Kids into a leader in its category. In this Podcast, Dr. Yum shares pearls of wisdom based on her experience that are designed to help moms be successful in their medical careers and in their lives more broadly. She interviews a rotating cast of experts who give invaluable advice from a variety of perspectives: fashion stylists, lawyers, CEOs, nutritionists, skincare experts, parenting experts and more. Along the way, Dr. Yum shares the secrets to her success in balancing motherhood and her growing business interests in dental, real estate and beyond. This less-than-a-year-old podcast has the distinction of making it to the iTunes Top 200. Dr. Yum offers a unique take on a dental podcast, by including well-rounded lifestyle content. 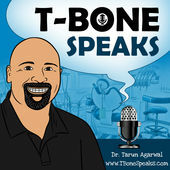 Description: T-Bone speaks is a dental podcast dedicated to helping you achieve clinical, financial, and personal balance in dentistry. Dr. Tarun “T-Bone” Agarwal brings years of practical experience and a unique ‘in the trenches’ view of dentistry to the podcast. Thanks to his entertaining demeanor and down to earth approach, you’ll be looking forward to each episode. Dr. Agarwal is a good fried of Patterson, and an influential voice in dentistry when it comes to the latest technology. You can visit this page of our site to download a free article he wrote on how to get patients excited about sleep dentistry technology. He recently did a series in his podcast interviewing outstanding female dentists, and kicked things off by interviewing another Patterson friend, Dr. Mona Patel! 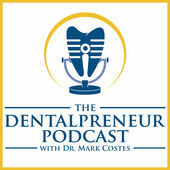 Description: This Podcast is for you, the Dentist, Entrepreneur, or Small Business Owner. Dr. Anissa Holmes has effectively mastered the skill of the use of Social Media, with a Facebook following of over 50,000 fans. Dr. Holmes has discovered that the most effective way to get massive results is to first have a vision and to focus on what matters most. Dr. Holmes teaches you actionable steps to develop your dental practice’s culture, systems, and brand. Dr. Holmes is going to reveal what works in Social Media, how to build an amazing dental team, and well as strategies to increase your productivity and profitability. 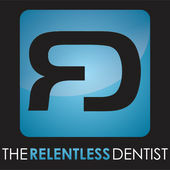 Dr. Holmes has figured out what works to create a dental practice full of “Raving Fans”. 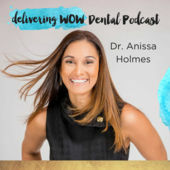 Dr. Holmes interviews Dental Experts and Non-Dental Entrepreneurs such as Dr. David Moffet, Dr. Mark Costes, Mike Michalowicz and John Lee Dumas, to bring you BIG, powerful strategies to help you scale up your business so that you can achieve more while working less. 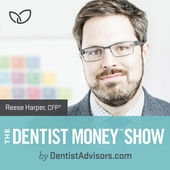 Description: Dental industry experts join Reese Harper, CFP to share insights dentists can use to make smart financial decisions. Visit DentistMoneyShow.com for a complete list of episodes. This is the official podcast of DentistAdvisors.com, a fee-only fiduciary advisor who focuses exclusively on dentists. The podcast is growing quickly, and releases a new episode every week. Reese often has guests from other dental podcasts on his show, that you will recognize from this list. 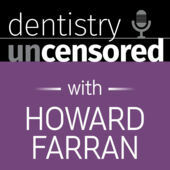 Doctor Farran is one of the most active dental industry voices out there, and releases a new show of his podcast almost DAILY. You can also watch a live recording of each episode on YouTube. Farran is the founder and owner of DentalTown. Description: AADOM Radio: For AADOM members on the go! AADOM radio is a great resource for dental management learning anytime, anywhere! Built with the busy manager’s schedule in mind, keep up-to-date on topics ranging from: Systems to Work life Balance, AADOM News, Published Observer Articles – Narrated for your listening and learning mindset. 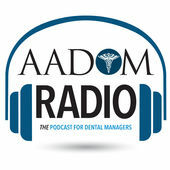 AADOM Radio – THE podcast for dental managers and dental business professionals. Ratings & Reviews: This is a new podcast so there is not enough rating information yet. Be sure and leave them a review, to help spread the word! Host John Stamper kicks off every episode, and then interviews the speaker of that particular episode. There is a different speaker/topic every time. To apply to be on an upcoming episode of this new podcast, fill out this form: https://www.dentalmanagers.com/podcast-information-form. Patterson is AADOM’s diamond level sponsor, so our current favorite episode is #5, which features Deana Zost, a past Patterson scholarship winner! Description: Helping you navigate the world of dentistry – one vodka-soda at a time! 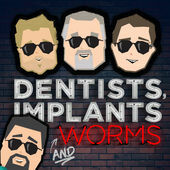 We’re not your average dental podcast. Join Dr. Justin Moody in Rapid City’s Podcast studio 1-A every week with a variety of personalities joining him as co-hosts – the impeccable Gabe Olson and the Renaissance Millennial, Jeffrey Alan Smith! Dr. Justin Moody invites dozens upon dozens of his colleagues, mentors, and inspirations in the world of dentistry. We interview them live via Skype and/or in the Studio. We are unfiltered and have no format – just good, honest conversation and a whole lot of Fireball. These fellas are known for being a bit “irreverent,” so if you need a dose of that, versus something more traditional, check them out. They are very passionate about the power of podcasting, and helped organize the first ever “Voices of Dentistry” live podcast summit last year. They’re helping to plan an even bigger event this year, which will be held in late January in Arizona. Deeply discounted pricing is available through October 10th. Learn more about this upcoming event here! Gary’s podcast is an industry staple, and he started podcasting before it was such a prolific medium. He is a passionate dental industry coach and has a particularly active Twitter page, which you can follow here. Description: Kristen Brown is an engaging international keynote speaker who motivates audiences to strive for maximum impact in their work and personal lives. She spent 15 years in sales and marketing leadership roles before starting her own award-winning company. She has worked with Fortune 500 teams across industries to drive sales and market share including companies like Target, Kraft, Bare Minerals, Cargill, Regis, Walmart, Mayo Health, and more. Kristen adds humor to her business-boosting keynote programs by weaving in relevant storie s that resonate with audiences. Kristen will motivate your audience with low-stress, high-success ideas for professional & personal GROWTH that will directly impact the bottom line by boosting sales, leadership, productivity, happiness and profits! Kristen is a friend (and Minnesota neighbor!) of Patterson. She is currently growing in her involvement with AADOM, and spoke at this year’s conference in Texas. Her podcast offers quick, digestible “shots” of motivation and inspiration. Dr. Maloley is a patriot with a unique, worldly perspective to offer. He served as a Dental Officer in the U.S. Army for five years, where he spent time in Germany and Italy, providing general dentistry services for the local military communities. 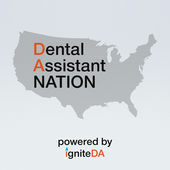 Description: Kevin Henry is the co-founder of IgniteDA, champion for dental assistants and host of the Dental Assistant Nation podcast. Speaker, consultant and author focused on empowering, enlightening and educating dental assistants. Many of the popular industry podcasts are focused on the perspective of the dentist, so it’s great to have a new take with this podcast, which was created to serve the dental assistant. The entire Ignite network is focused on empowerment. Description: Become more profitable, less stressed, and more fulfilled in your dental career. 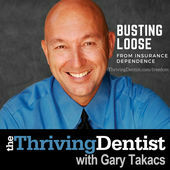 Dental consulting and coaching with Dr. Mark Costes. Dr. Costes is one busy man! In addition to being a practicing dentist with the Horizon Dental Group and releasing regular episodes of his podcast, he is also the founder of The Dental Success Institute, a multi-faceted dental education coaching business. Description: You’re a dentist. You’ve got a practice. Now all you need are your patients. 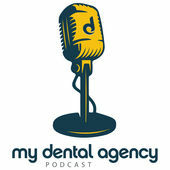 The My Dental Agency Podcast explores an aspect of running a dental practice that is often overlooked: marketing. Join Jackie and Shawn as they explore the surprisingly intricate world of dental marketing, with a heavy emphasis on taking advantage of the digital realm to bring a 21st century approach to building both your brand and a loyal patient base. Ranging from tips and tricks, to success stories, to interviews with experts in the field, get ready to take your practice’s marketing strategy to the next level! Ratings & Reviews: 5 stars. 10 ratings. Episode Information: The podcast launched in December of 2017, and there are 6 total episodes available. The average episode length is 25 minutes. Most dentists know how to be great dentists, but are less sure about the tools of success when it comes to marketing their practices. This particular podcast is focused on marketing tips for independent practices (versus corporate dentistry), but there are takeaways for all. Have you checked out Voices From the Bench: A Dental Laboratory Podcast? Thanks for your suggestion Elvis, we’ll 100% check it out! 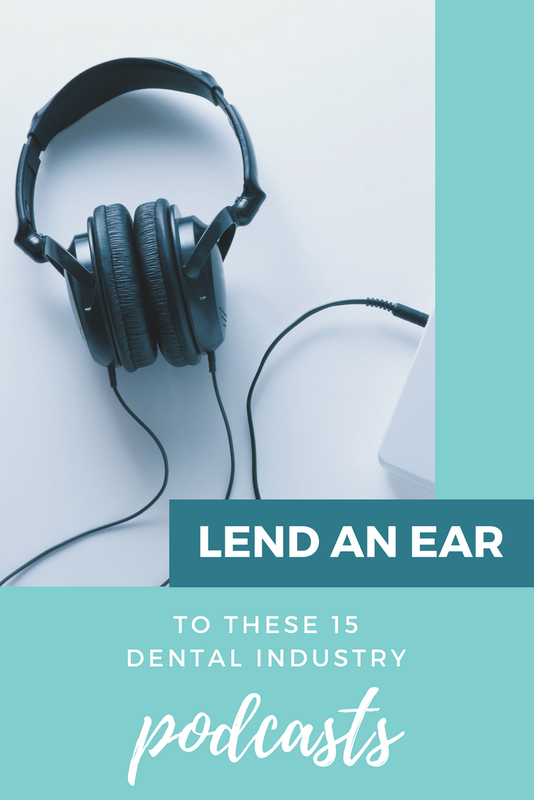 We tried to find a few for this list that included perspectives other than the dentist, so a podcast focused on the lab would be a perfect addition! Great list! I’ve got a lot of listening to do! Great list!! check out the dental up podcast! that dude is pretty funny too and educational! Podcasts sure will help you to stay updated.